When I said I was excited about the prospect of seeing the fall colors in the north east of the US, I was thinking more along the lines of reds, oranges and yellows…turning leaves and pumpkins. It turns out that the color palette I encountered was somewhat different in an area that seems to have been ravaged by a series of freak weather events this year. After leaving a cold, drizzly and dreary Massachusetts last May, a tornado swept through the area where my weaving friend Pam has her studio Firewatch Weavers in Brimfield. 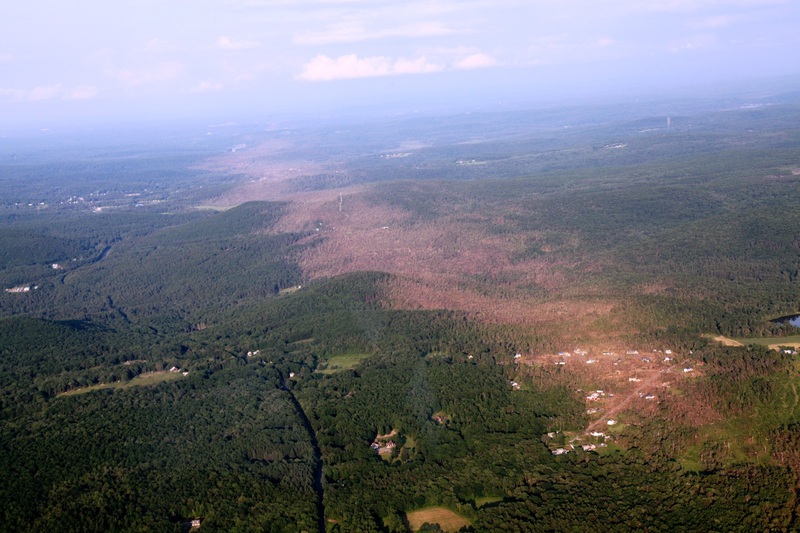 Pam’s husband Jim Engberg, who pilots his own plane, took this aerial shot of the clear path of destruction. I am happy to say that I missed this by a couple of weeks. I was a little disappointed to once again arrive in a dreary drizzly Massachusetts in October but the weather was kind and gave a us lovely blue skies and sun the following days. A wind storm had blown most of the pretty fall leaves off the trees so I had to be content with the soft blue of the sky rather than the golden and red leaf colors. 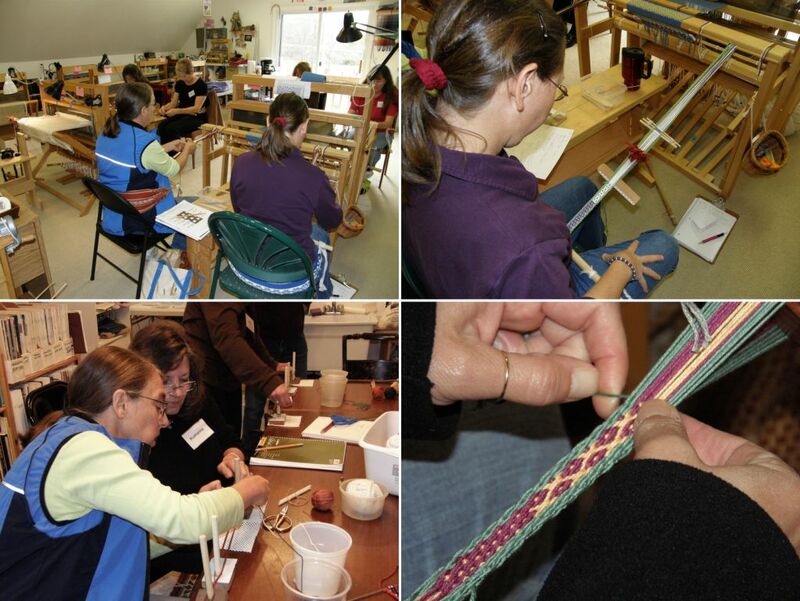 I came to Massachusetts to see my friend Pam and to weave with friends in her studio. It was a very productive couple of days in Pam’s lovely red barn studio. Since my last visit, Pam has installed an outdoor table and seating and a frame on which shade-giving vines can creep. I can see us all backstrap weaving out there next time! 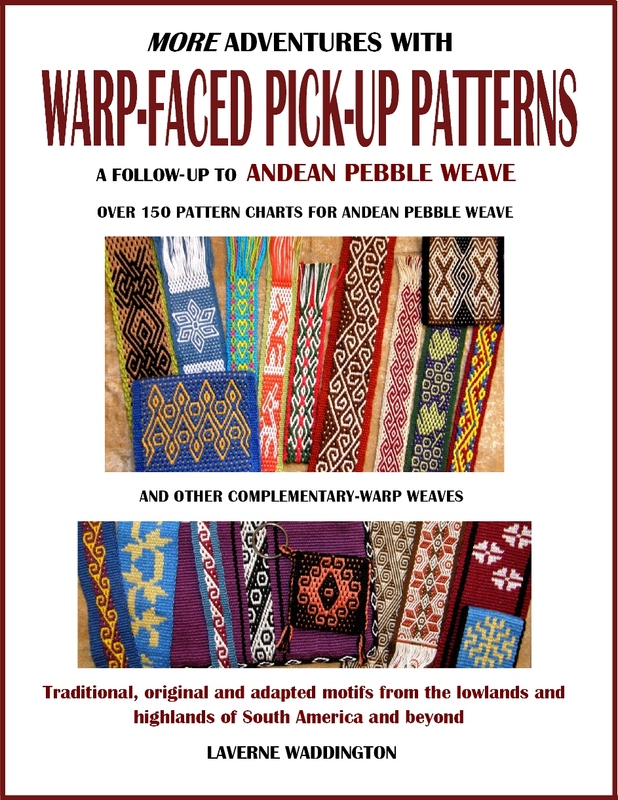 One of the group, Jayne, who has my book Andean Pebble Weave, brought in the colorful collection of bands that she has made while working her way through the lessons. Everyone got a sneak preview of a few of things that will be in my next book. I got to meet Kateri who has been corresponding with me on Ravelry. It is always wonderful to meet in person one of these online friends. Holly and Cindy returned after having woven with me last spring and I met Ellen and Ruthanne for the first time. Kateri had recently been to Mexico and brought a bag made by Huichol weavers to show me. Having just completed my own double weave piece using Huichol and Otomi motifs, I was really interested in seeing Kateri’s bag. Each time I weave this balanced double weave technique I know exactly what I want to look for the next time I have the opportunity to hold one of the Huichol pieces in my hands and so I carefully examined the motifs on both front and back. By the way, my bag with the Huichol and Otomi motifs won me the People’s Choice award on Weavolution’s Halloweave event and the prize was $250 worth of cashmere yarn from Colour Mart! I will have to think very very carefully about what kind of piece I will use this precious fiber for. Don’t worry, I promise not to use it for a warp-faced heavily beaten project! 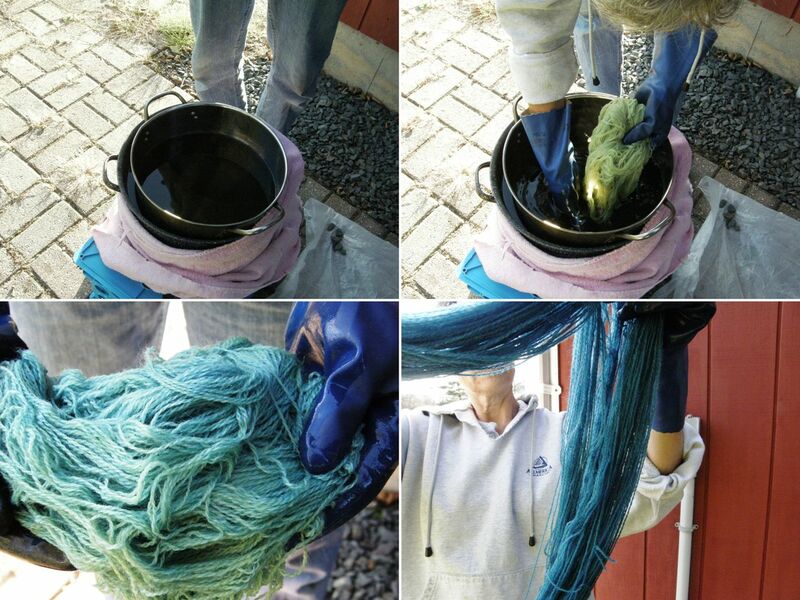 The following two days were spent harvesting Pam’s crop of Japanese indigo to dye silk and wool skeins. This would be my first time dyeing with these plants and I was very happy to have this opportunity to learn about the process. We skeined silk from Uzbekistan and wool in their natural colors and also prepared a skein of yellow wool for the pot. We went through the whole process on day one and discovered that there is a reason why the author of one of the books we were following said to add “fresh” spectralite. Pam’s stash of spectralite was obviously beyond its prime and we couldn’t get the oxygen out of the bath. Late into the night we had to admit defeat and stat anew the next day with more leaves and FRESH spectralite. Here is a weft-twined band that Pam was given made by the Maori of New Zealand which I supsect is a headband. 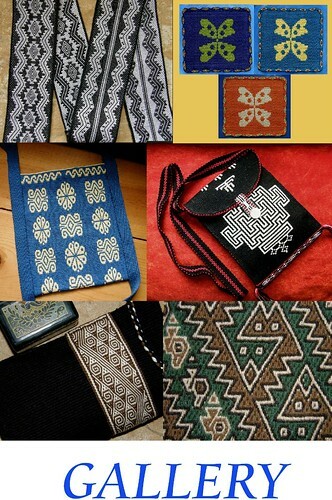 It was so exciting to see this as reading books on Maori twining is what gave me my first clues about this technique which enabled me to experiment with reproducing the Montagnard twined designs. 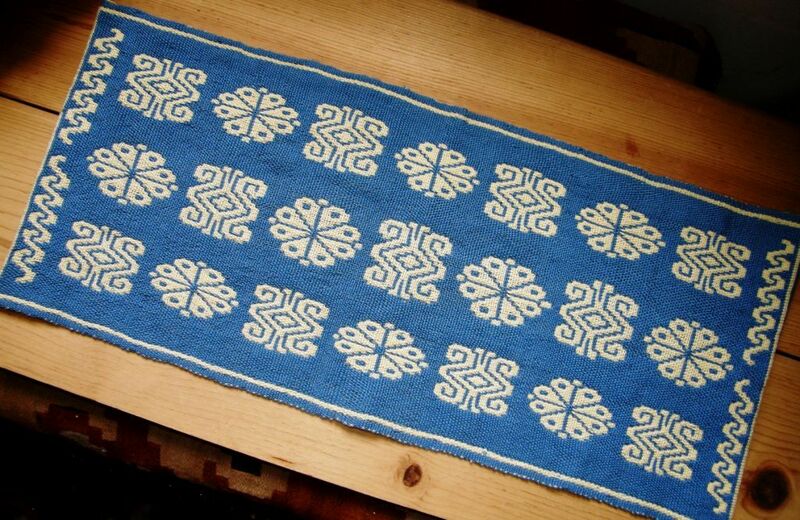 This is another of the pieces that Pam bought in Uzbekistan that is originally from Turkmenistan. (I showed some others in my last post.) This one has patterning with supplementary wefts and another lovely shaped flap, what appears to be a finger woven strap and pretty tassels. 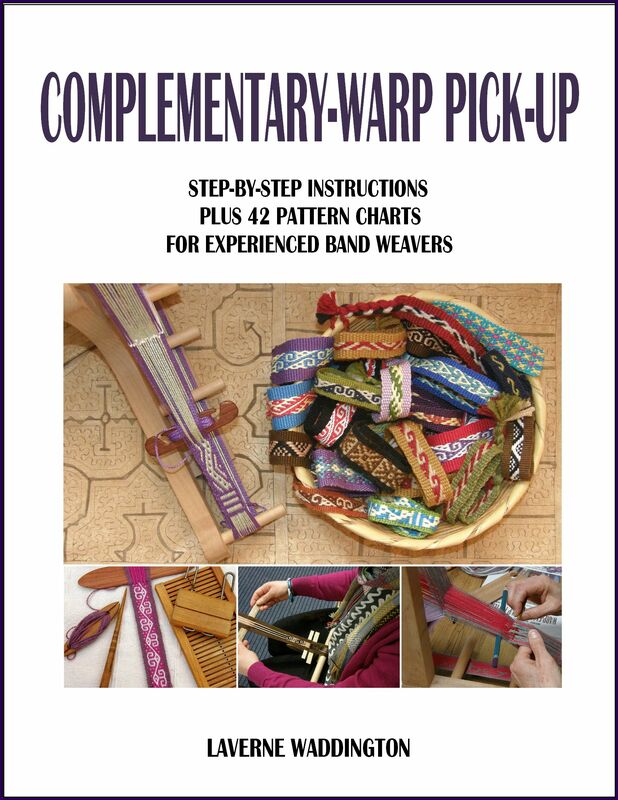 Bunches of tassels hang from a band decorated with a warp float pattern. The soumak rug on the right is made of silk. Pam’s friend Joan had brought a basket to show which had been made by a newly arrived artisan from Burundi who has come to settle in Massachusetts as part of the refugee program. Joan found out that she made baskets but had no idea what materials she would need to continue her craft. Pam donated some reed which the basket maker proceeded to split into finer strips to coil. She then unwove a plastic rice sack and used the plastic warp and weft material to wrap her split reed coil and produce her magnificent basket. Red acrylic yarn was used to make the pattern. 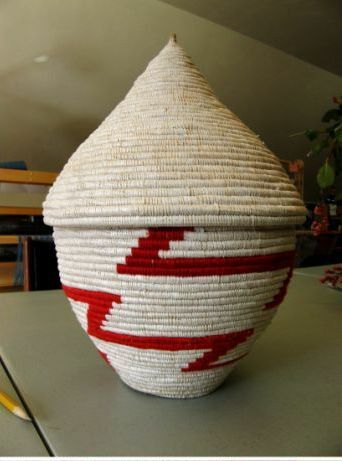 Hopefully she will be able to find similar materials to those she used at home in Burundi to produce her baskets but what a fine piece she made with her limited resources! Finally, the water in the indigo leaf pot heated to the desired temperature and it was time to separate the liquid from the leaves and do a ph test. Then Pam poured the liquid from container to container to introduce oxygen. A heavy froth formed and increased in volume with each pouring. This time we added fresh spectralite and the liquid turned the right greenish-yellow color which indicated that we could now introduce our wet skeins…finally the big moment. So, I got to see something that I had so often read and heard about…that magical transformation as the skeins emerged from yellow to gradually deepening shades of blue. If you have never had the fun chance of seeing it for yourself I made a little video of one of the silk skeins coming out of the pot…magic! Pam told me that Khiva, which is in far western Uzbekistan, was rebuilt by the Soviet Russians using local craftsmen to restore some of the old madrassahs and mosques and the khan’s castle, etc. She said that people do still live inside the wall as well as in the suburbs outside it. All these pictures were taken on Pam’s trips and she has kindly allowed me to show them here. Above you can see one of the indigo-dyed silk rugs produced by the workshop. 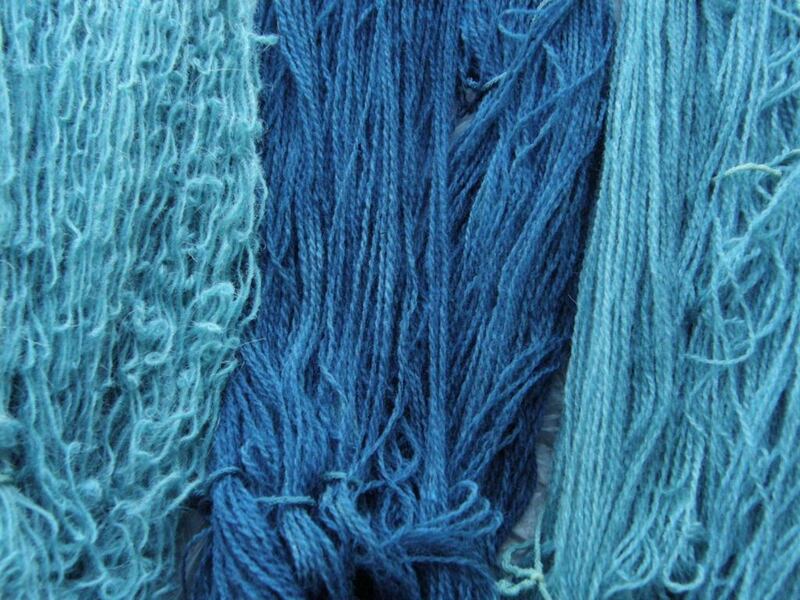 On the right, the indigo-dyed silk skeins, as they emerge wet from the vats, are simply thrown against a wall where they stick and can dry. They look like an unhappy tangled mess here which would be a headache to have to unravel but Pam explained that only small lengths of the silk are used for the knotted pile technique in these rugs so there is no need to unravel the skeins in one continuous thread. 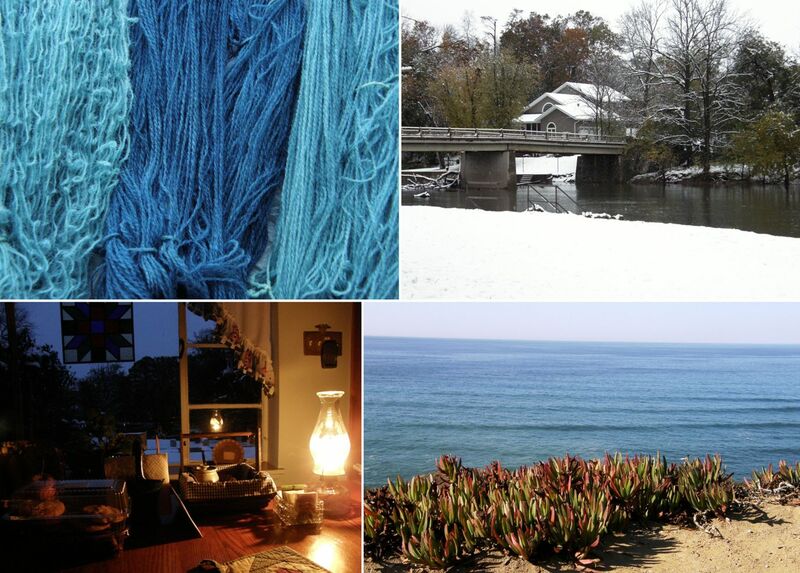 Pam also visited the UNESCO Silk Dyers’ Workshop in Taskent in 2008. In Pam’s own words…this was a project to employ women in the community using traditional arts. Note: Traditionally men are the dyers and weavers of ikat-dyed fabric (women are the cut-pile carpet weavers), but there was a lot of work in new construction in Tashkent that summer so UNESCO couldn’t get men to participate. Therefore they converted it to a project for women. The dyemaster was named Dalat (pictured below left). The dyepots were huge tanks set into the floor, heated by gas jets. First the skeins of silk were mordanted and wrung out (pictured below left). These were then allowed to “cure” (sit damp overnight) and can be dried and stored. The mordanted silk is made into a 100-meter warp on a warping reel and wound on an ikat frame making several layers so that when the apprentices, pictured above right, tie it for dying, they are actually making multiple repeats. The ikat frame is tensioned by securing it to bolts in the floor (below left). Dalat paints the design onto the warp so that the apprentices know exactly where they need to bind. The tied warps are then dipped into a vat of onion skins and apple leaves to produce the first of many colors. 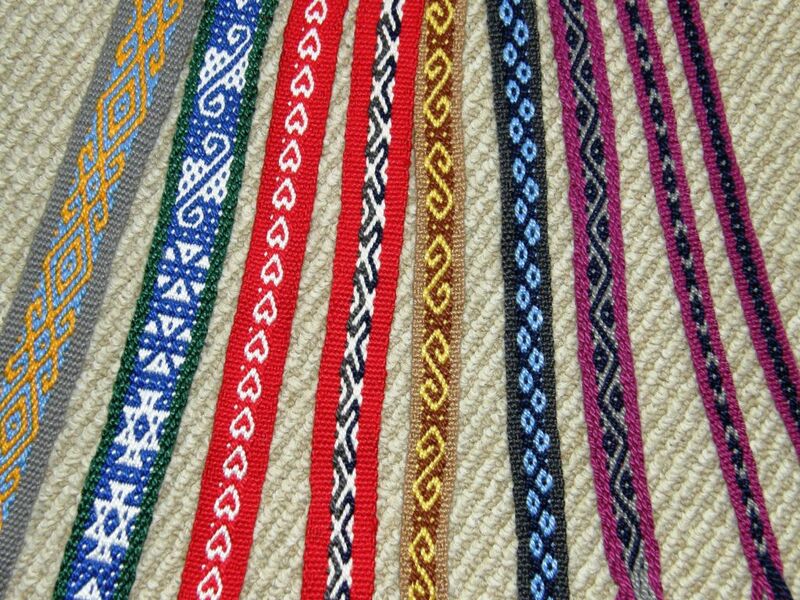 The bound sections will be unwrapped and other sections tied before dipping the warp in another vat to produce a second color and so on until the multi-colored warp is ready to be woven into fabric like the examples seen below (although these particular examples were not dyed with natural dyes). The picture above left shows an ikated warp on an 8-shaft counterbalance loom. There is no warp beam – the warp is stretched out across the room and weighted (above right). Each time the warp is advanced it is straightened, smoothed, and sized. Then they weave it in a warp-faced twill (7/1 – the weft goes under 7 warps and over 1) which looks like satin and shows off the warp colors on the face but is weft-faced on the back. Quite a process! I at least got the tiniest taste of this ancient practice with our little indigo dyeing experiment and I am so happy that I was able to see the exhibit of the Central Asian ikat robes at the Textile Museum in DC last November. Pam’s pictures and explanations and the stories she told me of her travels in Uzbekistan have added so much to what I saw at the museum last year. My indigo blue and blue skies which stay with Pam in Massachusetts changed to white, white, white when I got to Pennsylvania. It snowed!…big fat wet flakes that fell and fell all day Saturday. I was thrilled. I lived in snow for nine months of the year every year for six years back in the eighties and haven’t had a chance to walk about in the lovely white stuff since 1992. I loved it! I especially love that special kind of muffled silence that the snow creates. However, you probably all know of the unhappy results of this early heavy wet snow and we, like hundreds of thousands of others, were a part of the power outages that hit the area. My white wonderland turned to black but we were lucky to have the warm yellow glow of kerosene lamps and crackling logs in the fireplace. I will write more about the snow adventure in Pennsylvania, my backstrap weaving friends there and my wonderful hosts over those days in the next post. But I will let you know for now that the snow scape has since turned into a sandscape as I have winged my way to the other side of the country. So, the last color for this post is the deep blue of the Pacific Ocean. I am here for my second time of weaving with friends out at Martha’s lovely cabin in the woods. As always Martha is a never ending source of fascinating information and stories and her weaving studio is full of interesting experiments, pieces she has collected in her travels and her current works-in-progress. Oooh, I have so many cool things to show you!! But, that’s enough for this time. I have just managed to catch a break to put this post together before getting ready to hit the road…..back once again east to no snow and full power, I hope! hi laverne, seems you are having a great time. That picture of the weighted warp beam could be a good idea to try on a warp i wrongly wound on the frontbeam. 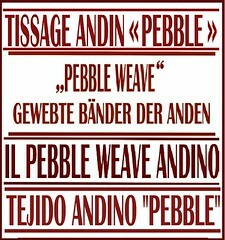 yah how stupid, i was not paying attention because of an opendoor day;good that most people knew nothing about weaving. thanks for sharing all those beautiful photos. though the video give a “privat video” message. Thanks Jeannine. It is so nice to hear from you…it has been a while. Congratulations on the job too!Thank you for telling me about the video. I changed the settings. I am new to Youtube! I am glad you found some handy ideas in Pam’s pictures and info. I am excited to weave with the group mentioned in the final paragraph. One more day and a thousand new ideas to go. The warp I made yesterday gave me a “fatal error” message so I am “rebooting” my warp this morning. How lucky we are to have our own “scout” to roam the world and bring us new ideas and techniques. Beautiful post! 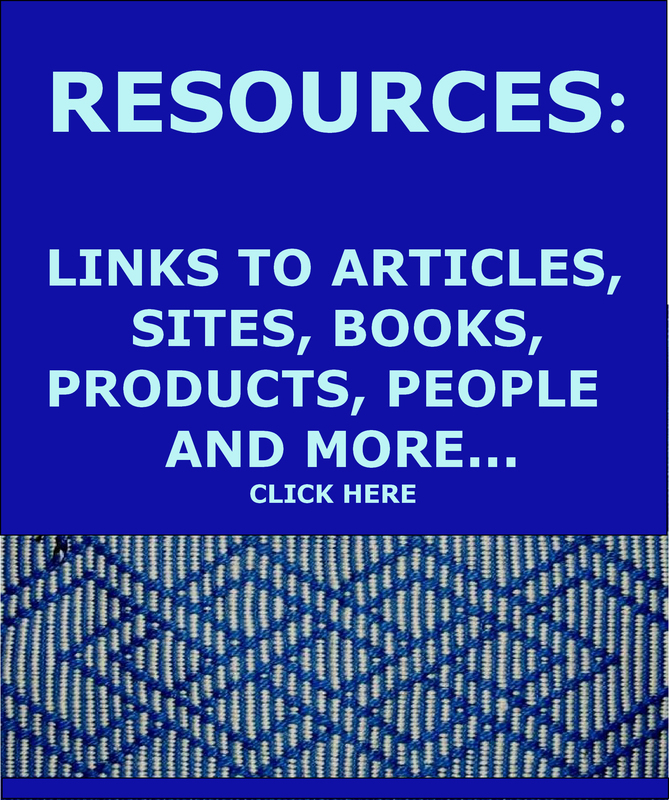 I love reading about natural dyeing techniques and traditional weaving methods. Thanks so much for sharing! Thanks Marie. I was so lucky to be with Pam and Jim and have them share so much with me. missed your blog, love reading and seeing pictures of your adventures. but most of all- love having you with us here and hearing about all the exciting information you’ve been gathering. the Bedouin weaving , and the double weave have just been just so amazing. I’m stocked! Yonat, what fun we have all had!! I love being in Santa Cruz with you guys. Thanks so much for having me and I hope we can do this again.